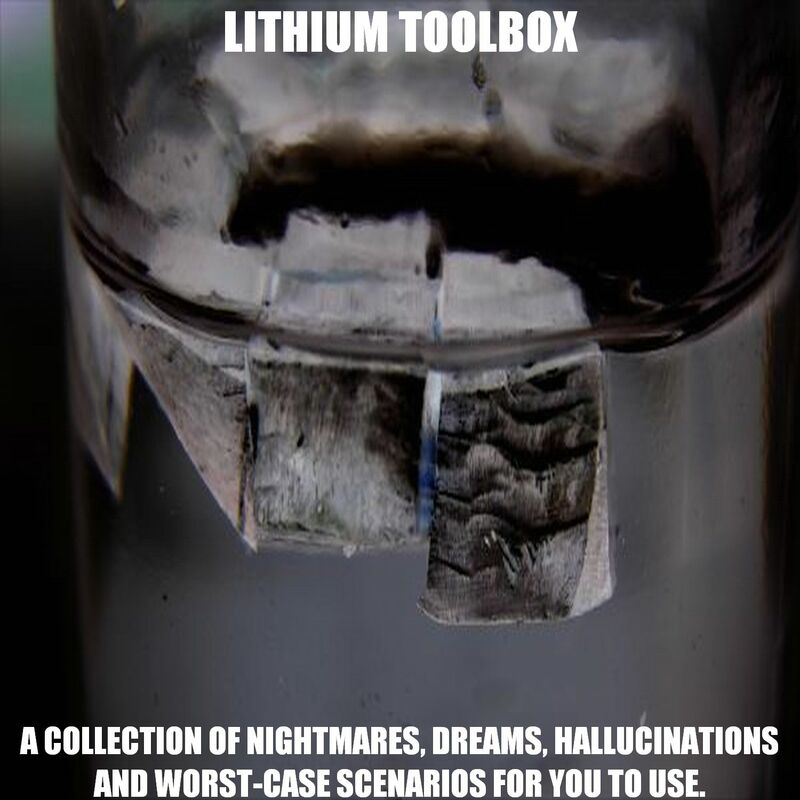 “Lithium Toolbox is a soundscape collection, featuring twenty-five different synth compositions from John Lithium. This collection is mostly sci-fi/cyberpunk/noir influenced and/or inspired. The first twenty-two tracks are brand-new songs composed in June, while the final three were recorded in May. The total collection is roughly 625 MB, with an average ‘song’ time of about two minutes. These are mainly drone-oriented tracks, although there are several notable exceptions. While many of these ‘songs’ are able to stand under their own merits, they eagerly await for assimilation into your own designs, either in a remix and/or enhancement capacity. ~ by John Lithium on June 11, 2011. This entry was posted on June 11, 2011 at 6:27 pm and is filed under Argali Records, John Lithium, Music For The Rest Of Us Archive.You can follow any responses to this entry through the RSS 2.0 feed.You can leave a response, or trackback from your own site.